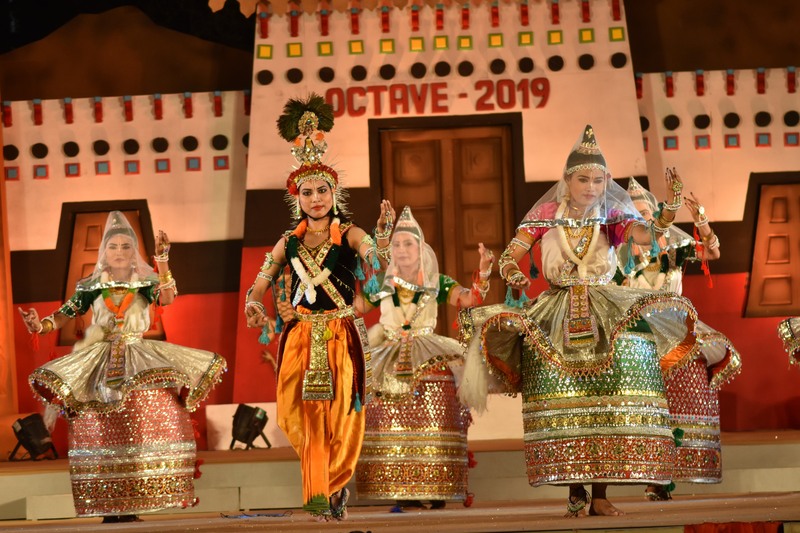 The 5-day North Eastern cultural programme and handicrafts exhibition being held at Jawahar Kala Kendra (JKK), concluded with magnificent cultural performances. The event was a grand celebration of the rich diversity of India and helped pave way for the State to familiarise themselves with the other cultures. Around 200 dancers, musicians and craftsmen from the North Eastern States of India participated in the festival. A combination of around 20 folk art forms were staged on all five days. These included – Rikam Pada (Arunachal Pradesh); Bihu, Bardoi Shikhla, Bhortal and Sattaariya (Assam), Pung Cholam/Dhol Cholam, Manipur Raas, Chirol Jagoi and Thangta (Manipur); Ka-Shad-Mastie (Meghalaya); Hozagiri and Sangrai Mog (Tripura); Cheraw (Mizoram); Khupielili (Nagaland) and Tang Shello (Sikkim), among others. The performance on the concluding day also involved a special finale in which all the dancers came together for a fusion performance. They were cheered on by the enthralled audience. Along with the cultural evenings, the handicrafts exhibition which was also a part of the ‘Octave 2019’ also concluded today. 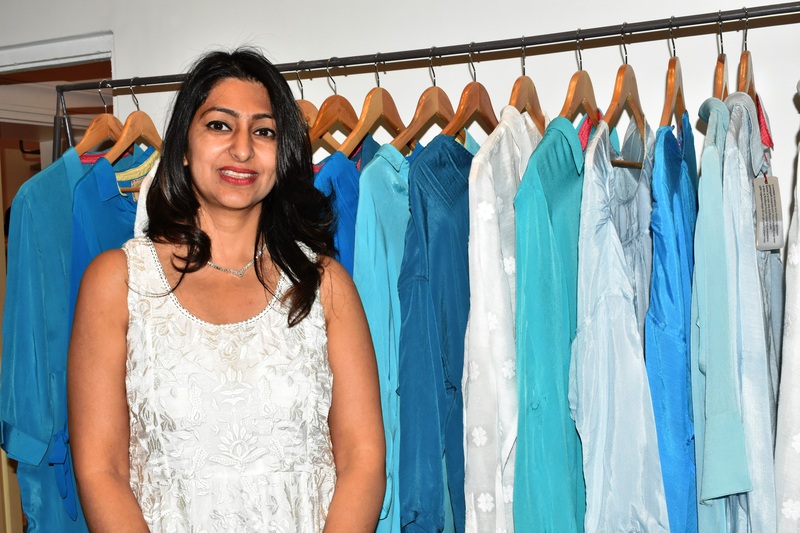 As many as 30 stalls by around 60 artisans was set up for the exhibition. It included items like dry flowers, handloom textiles along with decorative and daily use jute, bamboo, cane and ceramic products. Jaipurites were seen having a good time shopping at the baazar and enjoying a chat with the craftsmen regarding their unique cultures and wares. 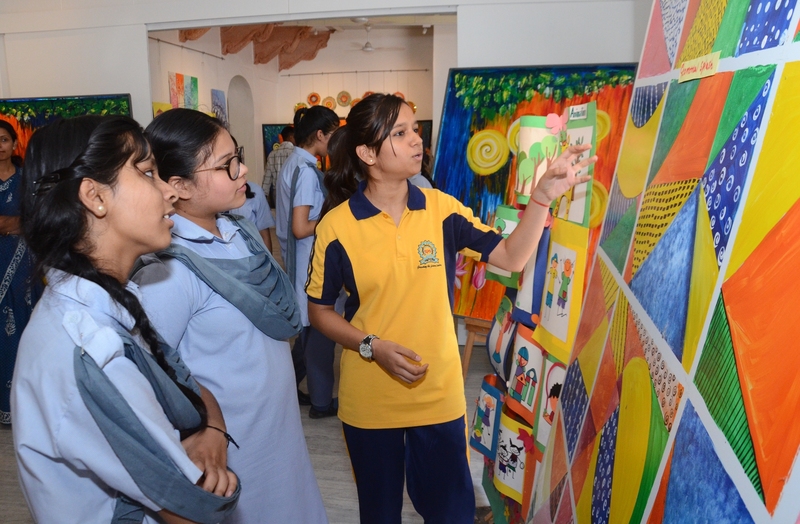 It is to be recalled that the programme was organized jointly by JKK and the North Zone Cultural Center, Patiala.